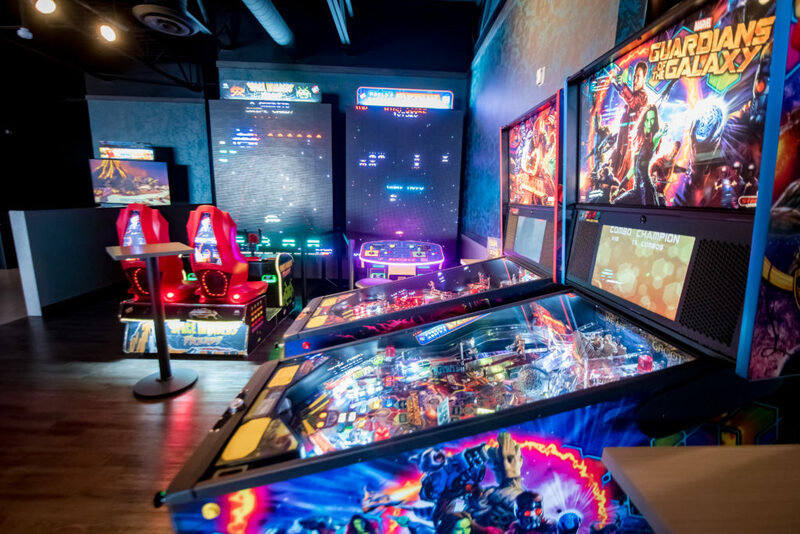 The first location outside of Texas for Cinergy Entertainment has officially opened in Tulsa, Okla. with bowling, an arcade, a movie theater and more. Cinergy has four Texas locations in Amarillo, Copperas Cove, Midland and Odessa, and its CEO Jeff Benson is known as a pioneer in the cinema entertainment center concept. Visit www.cinergy.com for more information about the company. Pictured at the grand opening are Jeff and Jamie Benson along with sons Troy (15) and Braden (13), Jeff’s mom Jeri, his brother Brad (mostly hidden behind Jeri) and Brad’s partner Jordan Heckley.